Home Miss Globe Pageant Khanh Ngan of Vietnam is Miss Globe 2017, PH's Nelda Ibe is First Runner-Up! 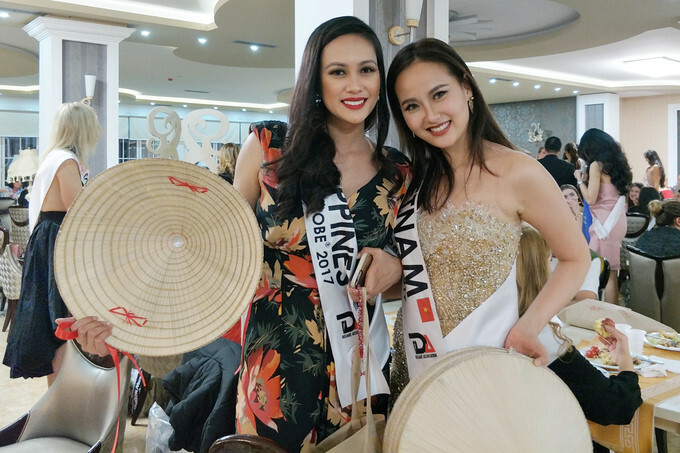 Khanh Ngan of Vietnam is Miss Globe 2017, PH's Nelda Ibe is First Runner-Up! Do Tran Khanh Ngan of Vietnam was crowned the winner of Miss Globe 2017 held in Tirana, Albania on November 3, 2017. She was crowned by 2016's queen Dimple Patel of India. 23-year-old Ngan from southern Dong Nai province was one of the semi-finalists in Miss Vietnam 2014, and entered the final round of Miss Universe 2015.